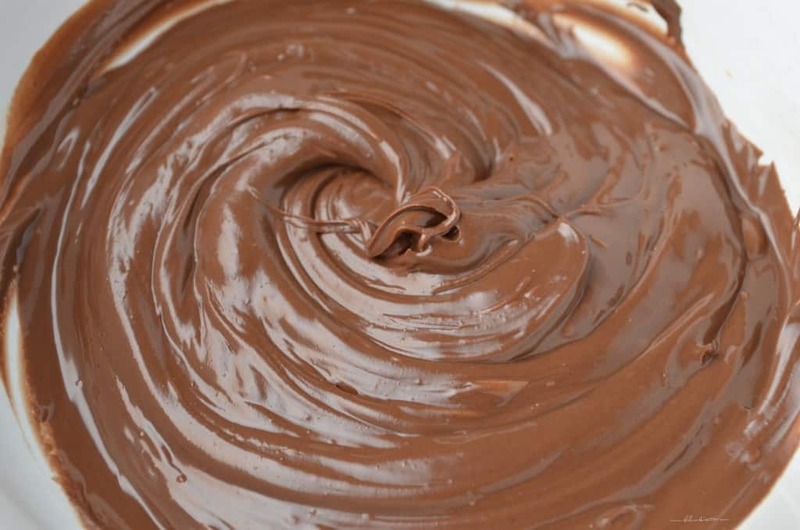 Did you know that there is actually a World Nutella Day…and it’s today! 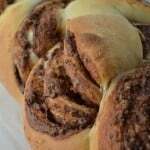 In order to celebrate this happy occasion, I decided to make this simple braided nutella bread. I am sure you’ve heard the saying “A picture is worth a thousand words”…well, enjoy! I microwaved the nutella for 15 seconds, just enough to make it easier to spread over the dough. 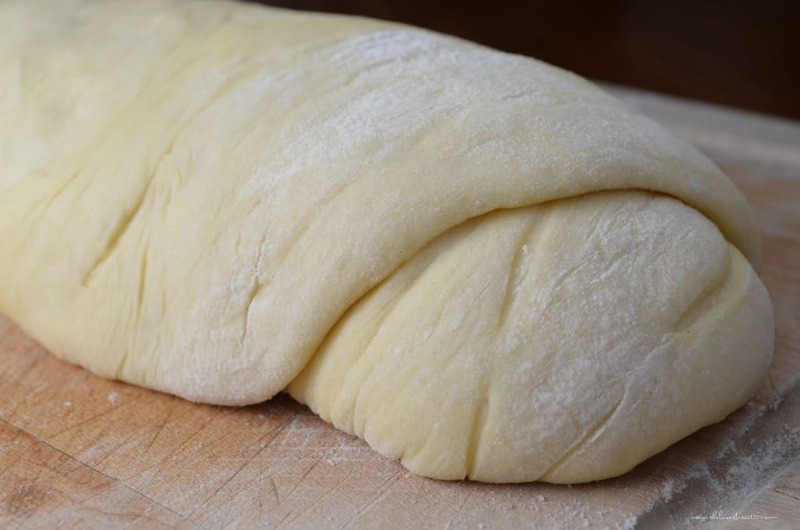 Try to roll the dough into a tight cylinder. As you can tell, mine was a little loose. In order to create the braid, cut your roll in 2 or 3 strips, a couple of inches from the top. Then just start braiding until you reach the end…tuck the ends underneath. You really cannot go wrong. Impressed? Don’t be…once you try it, you’ll realize how super easy this is. 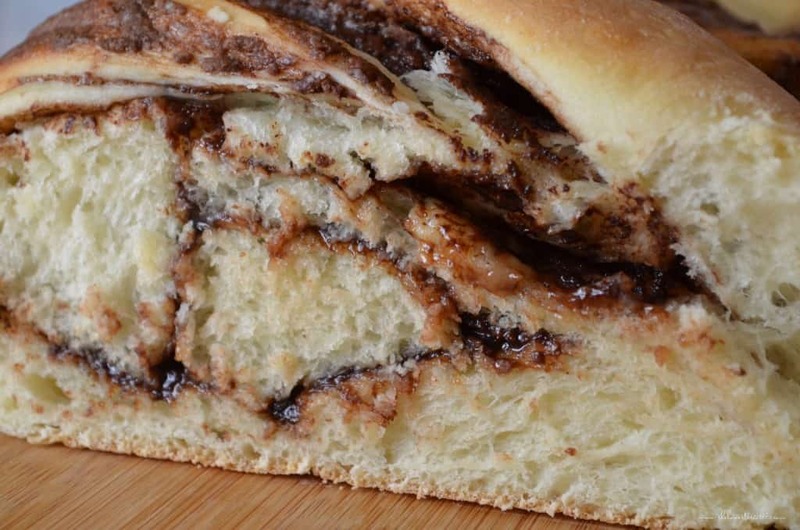 I used the recipe for Easy Mashed Potato Cinnamon Rolls and replaced the butter with 1/3 cup of nutella. That’s it. Super easy and really good. You really cannot go wrong when Nutella is involved. How did you celebrate World Nutella Day? This is how I celebrated World Nutella Day. 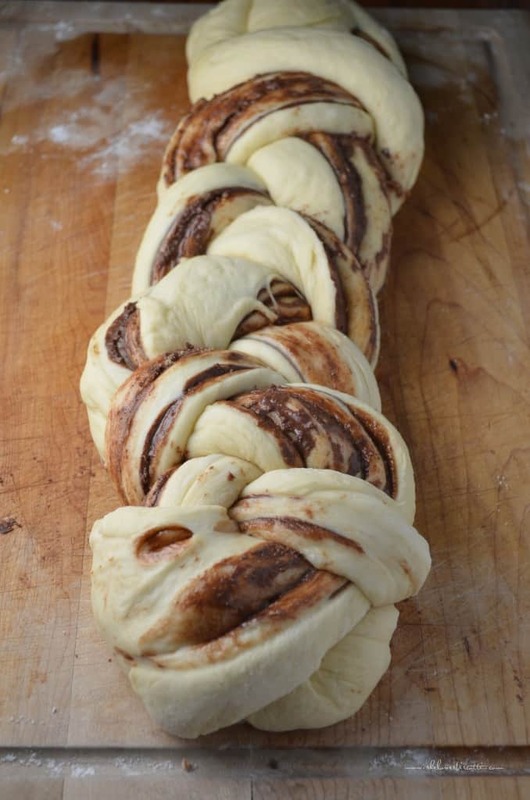 Come take a look at this Simple Braided Nutella Bread. In a large mixing bowl (of stand mixer) combine 1½ cups of flour with yeast. Set aside. Combine milk, potato, butter, sugar, and salt in a medium saucepan. Heat on medium heat until butter starts to melt. Add to flour mixture and mix on low speed for about one minute. Add eggs and continue beating until well incorporated (2-3 minutes). Add the rest of the flour (3 cups) and mix for about 5 minutes until smooth and elastic. Alternately, you can knead by hand. Place the dough in a lightly greased bowl. 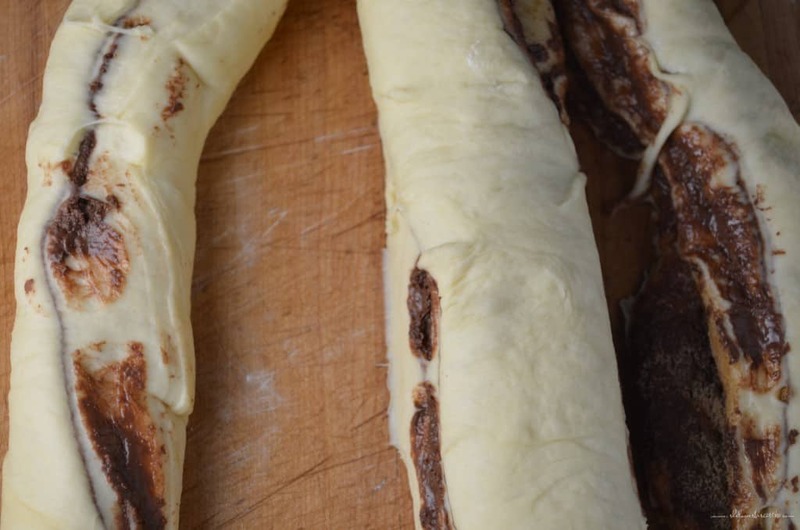 Make sure to turn dough in order to completely coat the dough with the grease. Let rise for about 45 minutes or until doubled in size. Turn it out on a lightly floured board and let it rest for about 10 minutes. Meanwhile prepare the filling by combining the brown sugar, cinnamon and flour in a small bowl. Set aside. Line large cookie sheet with parchment paper. Set aside. Roll out dough until you get an 18 x 12 inch rectangle. 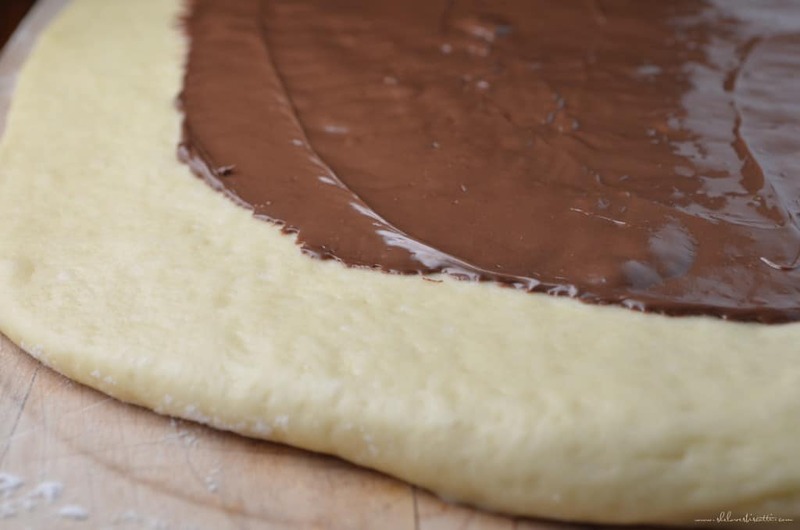 Spread softened Nutella on the dough and evenly sprinkle the filling mixture. Roll into a log, starting with the long side. Cut the roll lengthwise, in three. Start the incision 1 1/2 inches from the top. Start making a braid with the three strands. Tuck ends underneath braid. Cover and let rise for about 30 minutes or until double in size. Cool slightly before slicing...if you can resist. 2016.02.05 This post has been updated. would this work well in a bread machine? Although I have never tried, I think it would work as it is a yeast bread. If you do decide to try it, I would love to hear how it turned out for you. Thanks for stopping by Rose. I just love hazelnut spread… can’t wait to try this. Thanks for the recipe!